The host Spartanburg Vikings won their second straight National Select 7-on-7 South Carolina qualifier in dramatic fashion Friday over Valdosta (GA). The Vikings entered the tournament portion of the event as the three-seed after posting a 5-1 record in pool play, their lone loss was a 26-13 setback to Valdosta. Valdosta posted a 6-0 record in pool play and entered the tournament portion of the event as the top-seed after winning the tiebreaker with Union County (SC). Valdosta found itself in the loser’s bracket after falling 21-20 to fifth-seeded Hillcrest (SC) in the winner’s bracket semifinals. The Wildcats won the losers bracket by defeating Jefferson County (GA), Union County and Hillcrest to earn them a shot at Spartanburg in the finals where they would need to defeat Spartanburg twice to win the championship. Spartanburg and Valdosta went back and forth the entire championship game as each made key plays in the waning moments of a highly competitive contest. Tied at 23 with just under 3 minutes remaining Valdosta took its first lead of the game by forcing a turnover on down by Spartanburg. Spartanburg’s defense responded by forcing Valdosta to turn it over on downs tying the game at 25-all with just over 40 seconds remaining. Spartanburg was unable to cash it in as Valdosta intercepted the first pass of the drive to take a 28-27 lead. The Vikings defense held forcing Valdosta over on downs to pull within one, 28-27 with 18 seconds remaining. This time the Vikings would cash in on the extra life as Austin Scott found Marsalis ‘Pops’ Wilson in the left corner for a touchdown with three seconds remaining for the 33-28 lead after the failed conversion. Valdosta would get one last shot but Seth Shuman’s desperation heave into the end zone fell incomplete and the Spartanburg bench erupted in celebration. Spartanburg finished 9-1 overall while Valdosta finished 11-2. 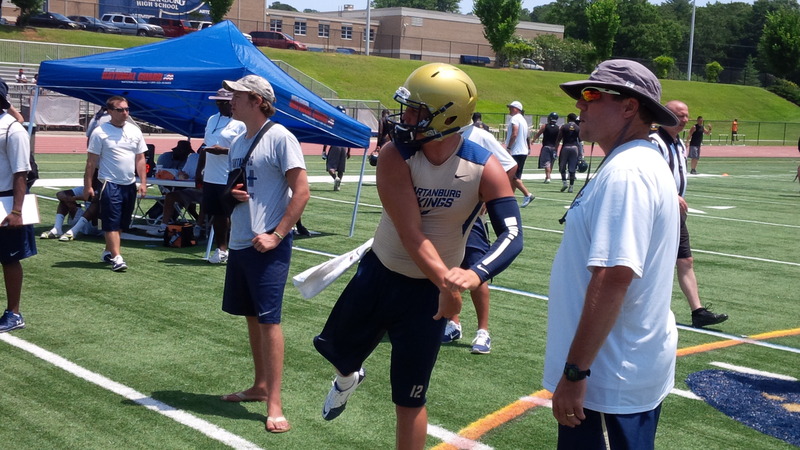 Spartanburg’s high octane offense has been well documented over the past calendar year and with much of the offense returning from last season state championship team, expectations are sky high around the program. Quarterback Austin Scott is the engineer of said offense and passed for 42 TD 4 INT while completing 63% of his passes during the two-day event. 5-star recruit and the No.1 All Purpose Back in the country according to 247Sports Tavien Feaster is the headliner for the Vikings. Feaster completed the tournament with 33 receptions and 11 TD. Tavaris “Pee” Scott led all Viking receivers with 46 receptions and 13 TD. Up and coming receiver Marsalis ‘Pops’ Wilson finished with 31 receptions and 6TD, Byrnes transfer Josh Johnson tallied 14 receptions and 3TD while Eric Rice finished with 12 receptions and 4 TD during the event. Rice, who was a reserve defensive back last season, moved back to offense during the spring and looks to be the back up running back for the Vikings this fall. 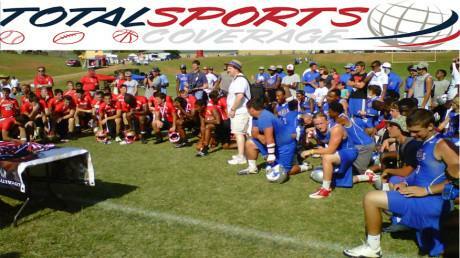 With the victory Spartanburg earned a berth in the National Select 7-on-7 National Championships in Hoover, AL July 16-18. 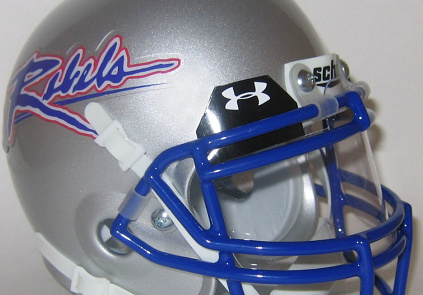 It is the second consecutive summer the Vikings will play in the National Championships. Last season they bowed out in the loser’s bracket finals and played the entire event without receiver Tavaris Scott who was out with a hand injury. 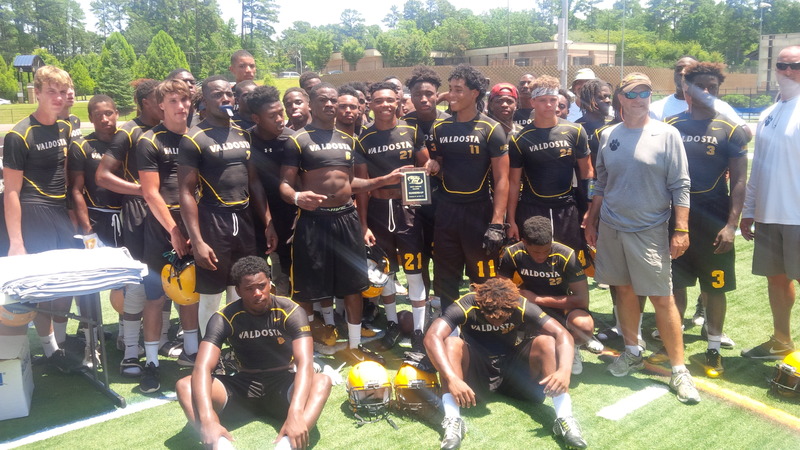 Valdosta, with it’s runner-up finish, received an invite to the event during the trophy presentation and they confirmed they would attend for the third consecutive summer. Spartanburg will open their regular season Saturday August 29th on the road against Wakulla (FL). Valdosta will open their regular season Saturday August 22nd against Norcross in the Corky Kell Classic at the Georgia Dome. The Colquitt County (GA) Packers have experienced a series of thrilling outcomes the last two weekends on the 7-on-7 passing league summer circuit. Last Saturday the Packers fell 37-21 to North Marion (FL) in the semifinals of the University of Alabama 7-on-7 and finished 6-2 in the event. 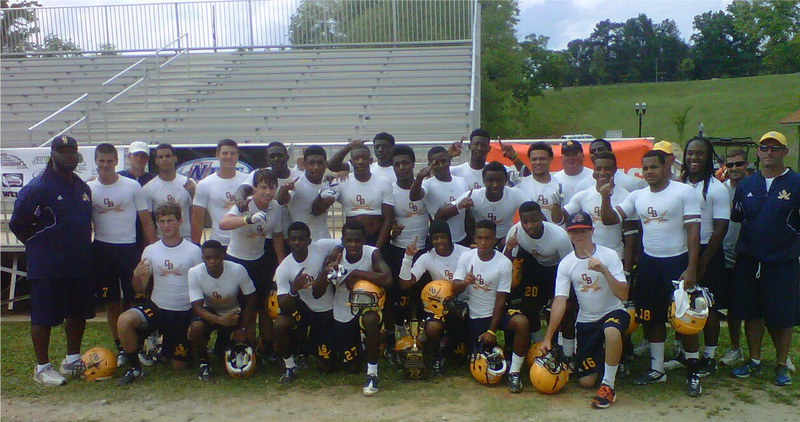 Six days later the Packers made the familiar trip north to the Atlanta-area for the 2nd Annual Corky Kell 7-on-7. Colquitt used back-to-back thrilling late game heroics in the semifinals and finals to finish a perfect 8-0. In the semifinals a touchdown pass from Chase Parrish to Ty Lee with no time remaining gave the Packers the 30-25 victory over Byrnes (SC). In the finals it was the defense that stepped up. After surrendering a Peachtree Ridge touchdown in the waning seconds, the Packers knocked down the conversion attempt to preserve the 23-22 victory and championship. 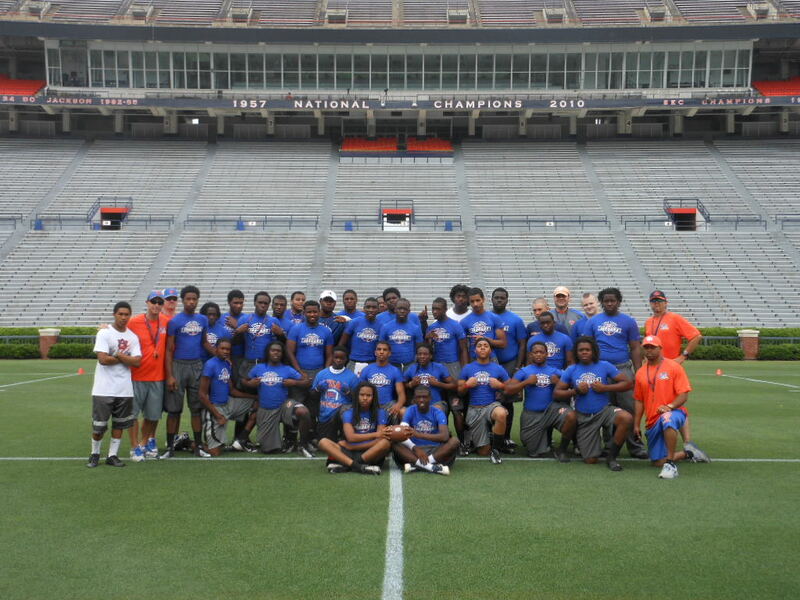 The Packers boarded the bus and headed to Auburn University’s 7-on-7 event. Again the Packers found themselves in a championship game coming down to the wire, this time against Westside (SC). However this time it was Westside coming through with the late game heroics completing the game-winning touchdown pass on the games final play to earn the 27-21 victory. 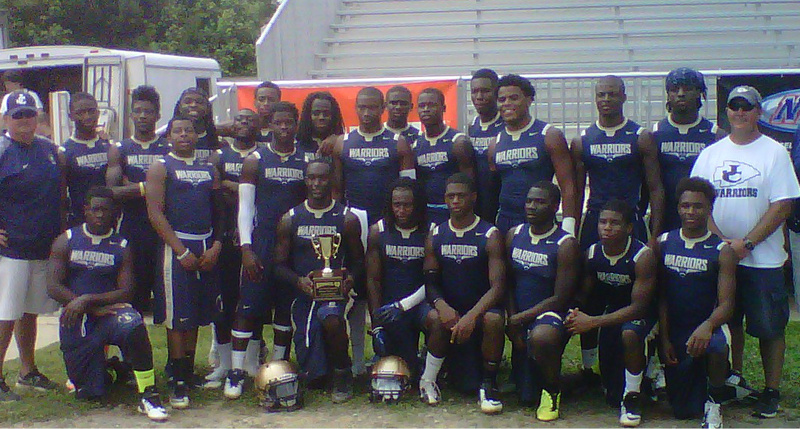 It was a sweet victory for Westside, who fell in the championship game of the event last summer. Colquitt County will participate in other 7-on-7 events before competing in the National Select 7-on-7 National Championships in Hoover, AL July 16-18. 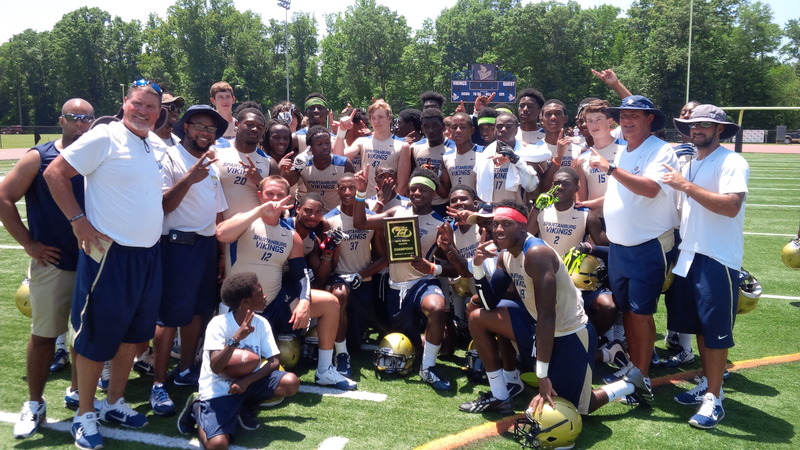 The Archer Tigers won the inaugural Corky Kell 7-on-7 in Roswell Friday. Archer defeated McEachern 28-25 in the finals. Archer entered the tournament portion of the event as the third-seed while McEachern was the 8-seed. Archer jumped out early on McEachern and never trailed in the championship game to take the win. Gabe Tiller, Dylan Singleton and Sloan Huff stood out for the Tigers offense. Archer finished 7-1 on the day. 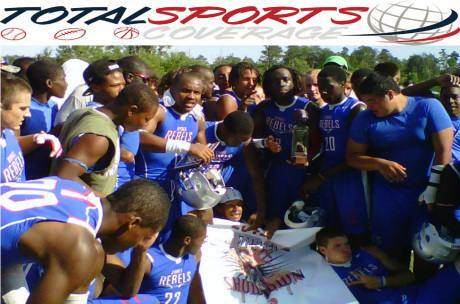 Norcross was the only team to defeat them however Archer won the rematch in the semifinals. “You come here to compete. If you get in the competition you wanna win it,” Dyer said.